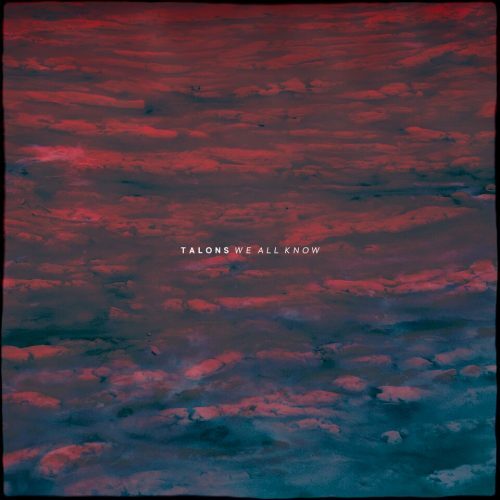 Talons‘ newest effort ending up here might seem like a mistake, or at least a con by a reviewer with a well-documented soft spot for math rock. 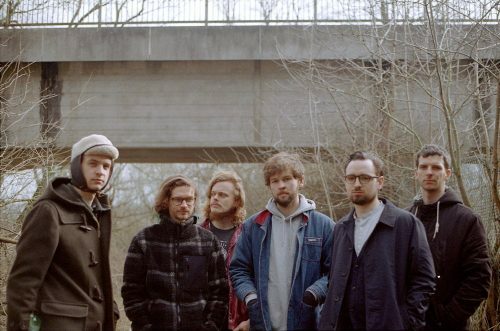 The band don’t quite fit the cavities made for them; with idiosyncratic instrumentation and twice as many members as the usual English math-/post-rock outfit, they probably can’t even cram onto the stages used by their peers. At the same time, despite obvious heaviness and impressive technicality, the group seems to be largely ignored by metal lovers that might be better poised to appreciate a six-piece with two full-time fiddlers. We All Know might be the album to finally win us over. Even judging on song titles alone, it’s clear that the frenzied mania of Hollow Realm has drained from the band. Smirking in-jokes fell to ominous harbingers of sludge just as skipping lilts have surrendered to drone. The blowing wind that chilled New Topographics never left, and We All Know suffers under it, forced to bivouac on cursed ground with only the feeblest of hopes. At some point, Talons subsumed their math rock beneath its metal influence, and the heft is all that’s left. “The Drowning,” or perhaps we should say, ‘The Droning,’ makes this clear off the bat, with an introduction right out of the post-black playbook, stretching to delay the complex drumming that belies the record’s minimalism. Varied song structures and arrangements ensure that the band’s instrumental music never wants for a guiding voice or slurs from one song to the next. In the record’s sludgy slides like “On Levels” and “Movements on Seven” the band seem preternaturally propelled, as if drawn forward only partially by will, while the doldrums of the violin led – “We All Know” counterpoints menace with mourning. Yet as with the last violin-heavy post-metal album to be judged here, the album falters when it catches on these string sections. “We All Know” doesn’t need editing – it needs excising – and slows down the record’s back half considerably. Even when “Quiet” ratchets up intensity once more, it takes a moment to shake the sleep from one’s eyes and realize that something is happening again. We All Know straddles the post-rock/post-metal divide as it weaves between siren-like leads and sludgy riffing, finding its own form unlike any other. Rather than any typical post-what have you album, We All Know bears closest resemblance to a mix of the apocalyptic dance-drone of 65daysofstatic‘s Wild Light and Clint Mansell‘s moody and menacing score for The Fountain. “Long Reading Room” very nearly cribs violin lines from the latter, and “Quiet” could easily sneak its way into the former. While the record can drag and ends on a somewhat uncomfortably playful note, considering the homogeneous gloom of the previous 45 minutes, each time I start the record from the top again I find myself struck by just how much We All Know draws me in. Talons‘ command of dynamics and simple counterpoint are only further intensified by the album’s excellent recording; We All Know catches the listener in a cold yet sensitive embrace, a motion which I feel compelled not to deny. While it pulls the band far from their roots, We All Know showcases a band as far from predictable as ever; devoid of the frenzied outbursts of Talons‘ youth, the record captivates with the brusque beauty that so many established post-metal bands fail to capture. Have Talons become a full-on post-metal band? Not quite, but with such an impressive stab at the genre, it would be a shame to deny the band your attention for their less-than brutal past. And who knows, perhaps this album will introduce a few brave souls to the Talons back catalog and the greater UK math rock scene. The band have arrived in a place no one could have predicted, and though the stay might be temporary, it’s their most comfortable home yet.